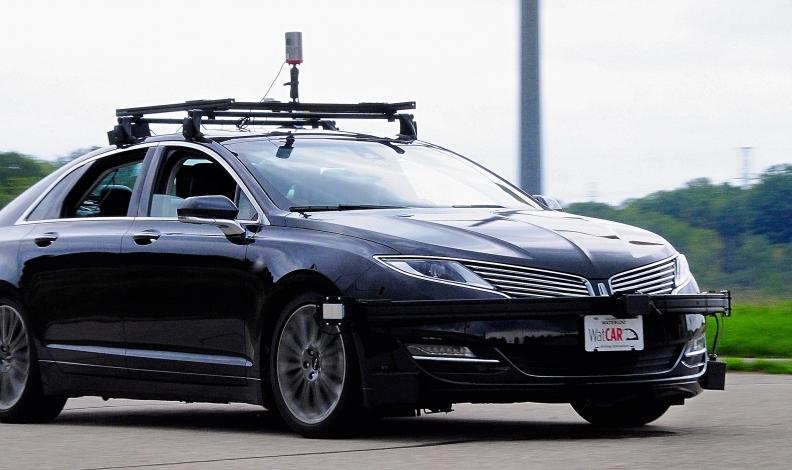 Researchers from the University of Waterloo at using two Lincoln MKZs to test autonomous driving. OTTAWA — Canada needs to take control of the wheel during the development and testing of self-driving cars on Canadian roads in order to prepare for the rapidly approaching shift to autonomous vehicles or risk falling too far behind the technological revolution, says a report. The study, released Monday after months of hearings, warns that a government strategy is needed now to avoid the conflict and confusion that surrounded the arrival of ride-hailing services such as Uber and Lyft. "Frankly it was shocking how unprepared we were [for Uber],” Senator Dennis Dawson told a news conference. Senators are worried Canada might fall too far behind the technological revolution if a plan for autonomous vehicles isn’t in place. The report recommends giving the privacy commissioner greater reach over how car companies use drivers' information, including whether companies can monetize personal information, and giving federal cybersecurity officials a bigger role over protecting the new technology from hackers. The committee also says the government must invest more in its own research of self-driving cars to deal with questions of safety, such as how to ensure a driverless car safely navigates a snow-covered road. The chairman of the committee says government action must be stronger than in the United States, but must also strike a balance to prevent spilling over into the private sector. "We're not trying to stifle progress, and we can't," said Sen. Dennis Dawson. "The Americans ... believe that we should trust enterprise, and I believe that we should trust enterprise, but the government in Canada has a more interventionist role and we want them to be able to plan on how they're going to be using that power." The report by the upper house's Transport and Communication Committee outlines 16 recommendations for a "robust plan" to maximize advantages of automated technology while addressing the risks. Key among them is a call for a joint approach by two federal departments – Transport Canada and Innovation, Science and Economic Development – now seen as working at cross purposes on issues of safety and technical change. "One witness suggested the federal government is trying to move forward with one foot on the gas pedal and one foot on the brake pedal," the report says. Vehicles are a federal responsibility while roads fall under provincial jurisdiction. So, the report also suggests that Transport Canada work with the provinces and territories to develop a "model provincial policy" for autonomous vehicles. Other recommendation address the need to protect the privacy of vehicle occupants whose every move in autonomous vehicles will be charted, and to defend vehicles and networks from cyberattacks. The report also calls on governments to step up retraining and support for workers who could lose jobs in what Senator Patricia Bovey called "a great paradigm shift" that will disrupt sectors across the economy. The Canadian Automobile Association welcomed the recommendations, noting in a statement that "the report highlights the two key long-term benefits of [automated vehicles]: significantly fewer injuries and deaths on the roads, and increased personal mobility for seniors and the disabled."